Pongali as is known in Telugu language is known as Khhichdi in North India. This is one of the dishes which is made universally throughout India. 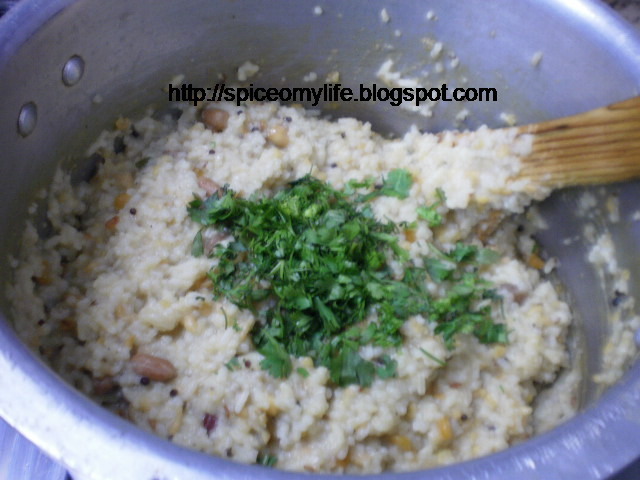 The basic dish is same all over India and is made in the same manner. There may be variations in some of the ingredients which differ from from place to place or from house hold to household. People do add their own ingredients thereby giving a personalised touch and also a distinct flavor. Any way the basic ingredients are Rice, Green gram (split and de-husked), Ghee(clarified butter). Other ingredients may differ. This packs quite some nutrition, easy to make and easily digestible as well as cheaper cost wise, as the ingredients are simple. So this was considered to be a poor mans' boon. Infants, old and those convalescing from long term diseases are fed this to get the required strength. 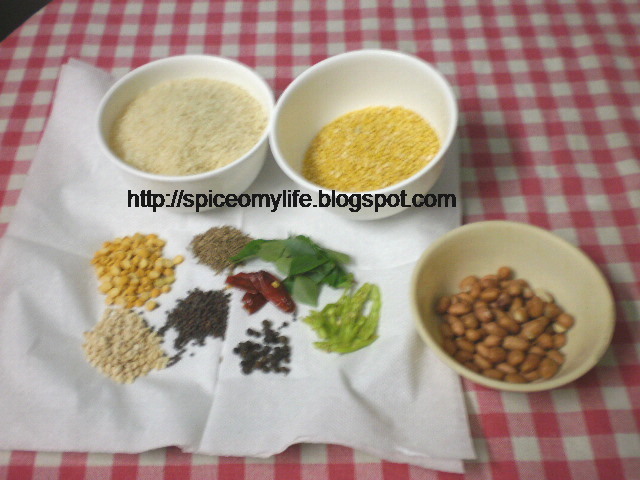 I am sharing with you the simplest or the basic recipe made in South Indian way. Later on I will post the variations too. So here itt is. Wash rice thoroughly in water and keep aside. Roast the green gram lentil on slow fire till it turns golden brown in colour and gives off a fragrance. Crush the peppercorns slightly. But if you dont like it very spicy use them un crushed. Now in a deep pan or better a cooker, heat ghee. Add peanuts and cashew nuts fry for a minute or two. Now add the chickpea and black gram fry for a minute. Add the roasted lentil cover and cook for ten to fifteen minutes on low heat. Now add the rice, salt cover and cook for another fifteen to twenty minutes on sim fire till done . In between just check up whether there is enough water. If not add more. I dont keep the whistle on cooker as sometimes the water content may not be enough. So its easy to check in between. Once cooked it must be almost like a stew or semi solid and the rice and lentil should be well cooked and mashed. Serve topped with melted Ghee and garnished with coriander greens. This can be served with fresh coconut or peanut or tomato chutney fried or roasted papad, pickles curries and curds. Just check my recipes on Chutneys. I have used only peanuts to make it more nutritious and this does not look yellow at all since I have used just a pinch of turmeric. This dish is a meal in itself. Green gram is a lentil. When it is split and de husked it looks light yellow in colour. The ratio of rice to lentil is 1:1/2. But thi can be varied to suit your taste-that is you can have less of lentil. This is a bit spicy and goes well for Indian tastes. I would make it more spicy by adding more green chillies if you like it hot. But those from other countries who dont eat so spicy, please decrease the amount of green chillies and pepper corns. To make it more nutritious and tasty add 1-2 Tbsp Peanuts or Cashew nuts or both. They can be fried in the ghee at the beginning itself. But you can fry them separately and pour over the Pongal just before serving. This way it would be crunchy. I have suggested low quantity of Ghee. Traditionally more quantity of Ghee is used. It almost drips of Ghee. That way it is quite tasty and gives more energy-but mind you MORE calories as well. This is a popular dish with infants and children. AVOID CHILLIES n PEPPER or decrease the quantity of spices if serving them or old and convalescing.